Key West to Cuba Festival, an LGBT Art-Centered festival, allow travelers from around the world the opportunity to embrace the unique cultures of Cuba and Key West. The festival begins with three days in Key West from September 7-10 followed by 24 hours in Havana September 10-11. 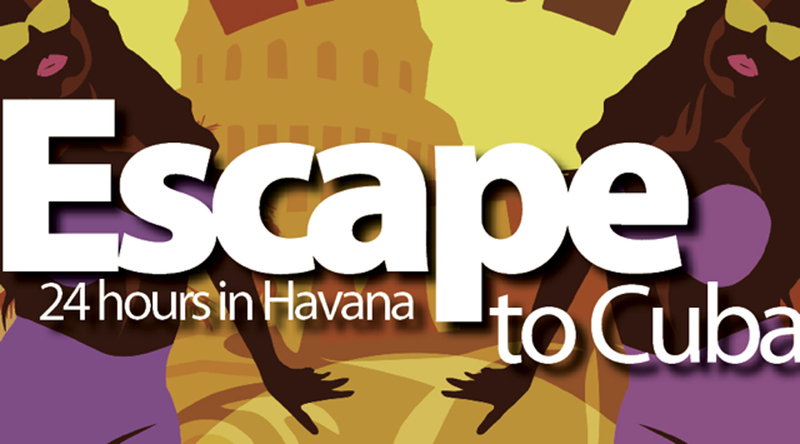 This LGBTQ themed trip centered on art, history and culture of Key West and Havana. The festival is presented by Havana Air and The Marker Waterfront Resort is a one of the sponsors of the event. Here is your opportunity to visit two of the most beautiful tropical destinations in the world and embrace the LGBT community with art, food, wine rum cigars and an unforgettable experience. It all begins in Key West, Florida on September 7th where guests embark in paradise for Art, Rum & Play: rum and dine festival, pool parties and dinners, private gallery and art exhibitions, museum and rum distillery tours and more. Have you always wanted to come to Key West? Take in the colors, sights and sounds of laid-back living! The schedule is jammed packed with 2 days of private pool parties, tours, VIP rum and cigar parties, Cuban-inspired brunch, drag performances and art, yes lots of art! On September 10th - 11th guests will leave Key West and fly to Cuba for a private cultural tour in Havana Cuba, Historical monument and local artist studio tours, private parties and more. 24 Hours in Havana! Take our 90-mile flight from Key West or Miami, drop your luggage at the B&B, drink a mojito and set off to experience history in Old Havana. The colors, the sweet ocean breeze and the Malecón and energy of Havana will sweep you up into a dream-like state as we tour the art and culture of the city in a classic 57 Chevy. Artist studio tours, a private party in the countryside, and time to explore and create memories in this all-inclusive trip. All travel will be handled by the U.S. and Cuban licensed travel agency for over 15 years, DMC of Miami. Learn more about the Key West to Cuba Festival. Stay connected and share your Key West to Cuba stories and photos with us using the hashtag #lovethemarker.